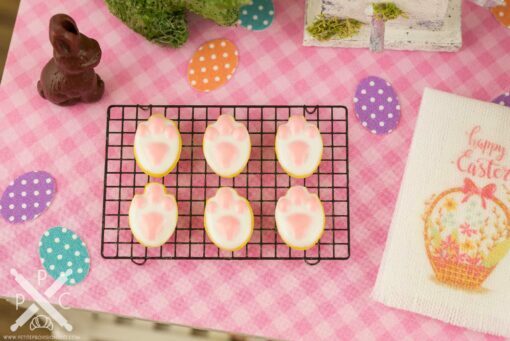 Dollhouse Miniature Bunny Tracks Easter Cookies - Half Dozen - 1:12 Dollhouse Miniature - The Petite Provisions Co. 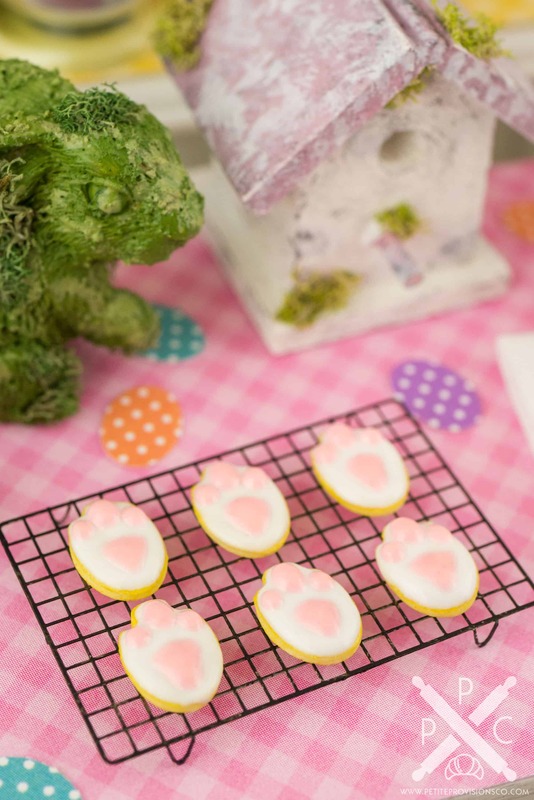 Celebrate Easter and spring with these adorable little bunny tracks iced cookies! 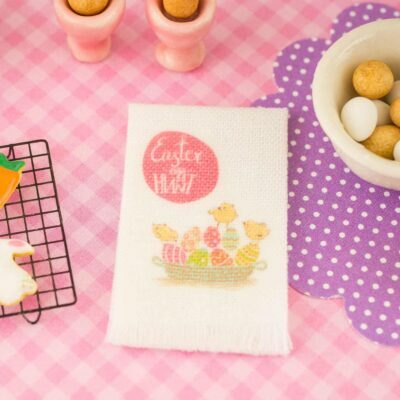 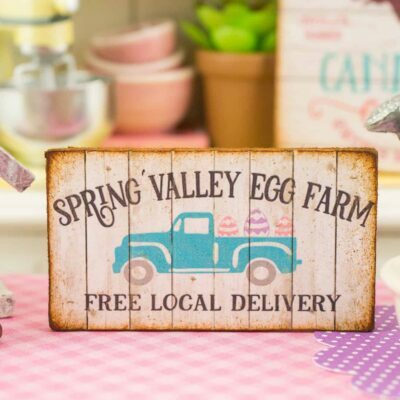 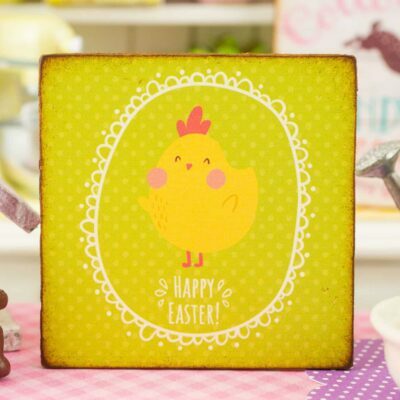 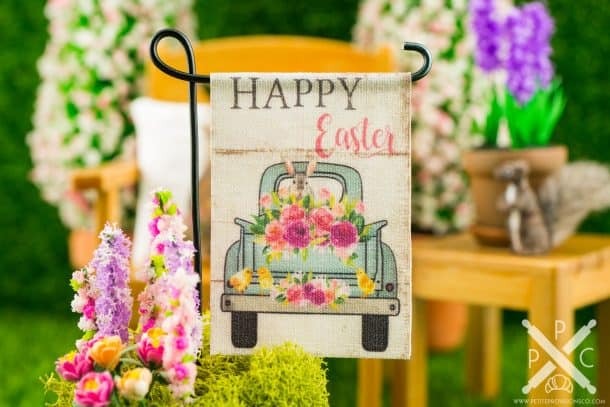 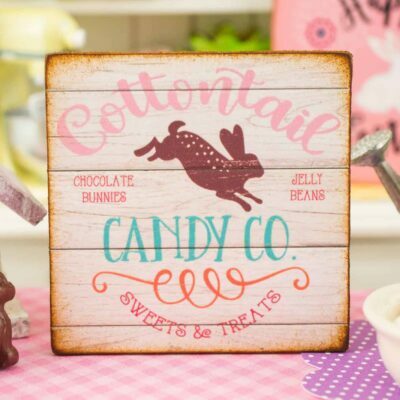 Whether you have a dollhouse or just love all things tiny, these little Easter cookies are too cute to resist! 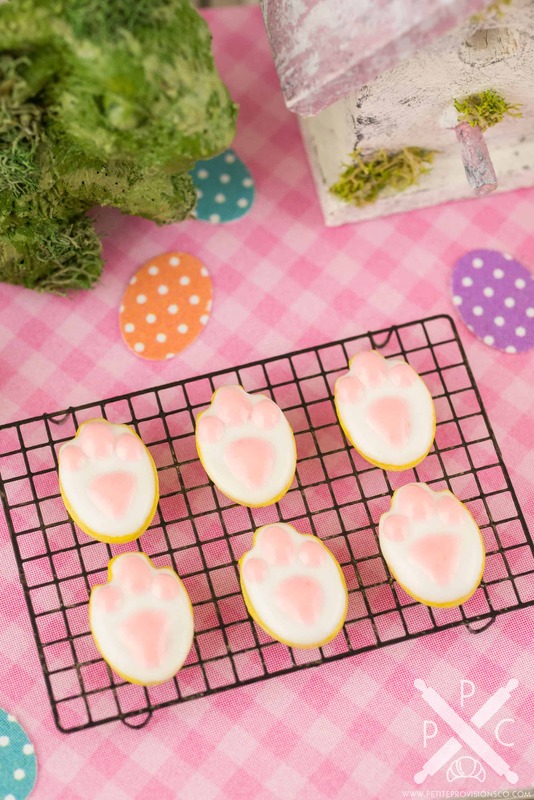 6 iced cookies in the shape of bunny feet. Each cookie is about 3/8″ tall.